[Editor: This is the third in a series of excerpts from Jeffrey M. Bradshaw’s new book, entitled “Temple Themes in the Oath and Covenant of the Priesthood.” You can read the first and second installments here. The book is available on Amazon.com and at selected LDS Bookstores (including Eborn Books, BYU Bookstore, the FAIR LDS Bookstore). An iBooks version is can be purchased from the Apple iBookstore, and a pdf version is available at www.templethemes.net]. The means by which we make our “step-by-step ascent into the Eternal Presence” is not based directly on our actions. It is easy to see why this is so. Were it otherwise, the Final Judgment would require nothing more than a mechanical assessment at the end of our probation as to whether we had gone through the proper motions in every life situation. However, the terms of the New and Everlasting Covenant are much more demanding-as Jesus Himself taught when He contrasted lower and higher kinds of obedience in the Sermon on the Mount. The scriptures teach that the purpose of this life is much more than outward compliance with divine law. Ultimately, it is to prepare us to be “spiritually… born of God,” having received a “mighty change in [our] hearts” and “his image” in our countenances. Emphasizing this fact, Elder Dallin H. Oaks explained that the “the Final Judgment is not just an evaluation of a sum total of good and evil acts-what we have done. It is an acknowledgment of the final effect of our acts and thoughts-what we have become.” The final effect of our choices can be seen both in what we want and also in what we know. One night at a reception, Edwin M. Stanton, Secretary of War in Abraham Lincoln’s administration, remarked to a friend that a certain man passing by was “a pretender, a humbug, and a fraud,” and said that he disliked his face. “But the poor man isn’t responsible for his face,” retorted the friend. “A man of fifty is responsible for his face!” countered Stanton. 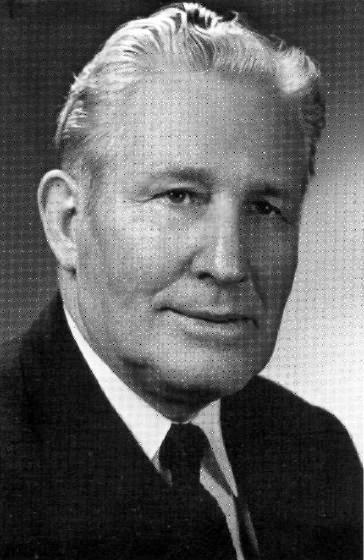 Though it is easy to find exceptions to Stanton’s generalization, there is eternal truth in the words of Proverbs 23:7: “As [a man] thinketh in his heart, so is he.” President David O. McKay often quoted James Allen’s comment that: “A man is literally what he thinks, his character being the complete sum of all his thoughts.” In light of these things, we may certainly say that the powerful presence of a good man or woman is not acquired in an instant, but in the gradual transformation enabled by pure knowledge, righteous desires, Christlike deeds, and the sanctifying influence of the Holy Ghost. Some have supposed that it would make but little difference with them whether they learn much or little, whether they attain to all the intelligence within their reach or not while they tarry in this world, believing that if they paid their tithing, went to meetings, said their prayers, and performed those things which are especially commanded, that it would be well with them and as soon as they laid off this mortal body, all would be well with them. This is a mistaken idea and that will cause every soul to mourn who embraces and practices upon it. When we arrive in the world of resurrected bodies, we will learn, to our sorrow [if we have not done what we should do] that God requires of us in this world not only obedience to His revealed will, but a searching after His purposes and plans. [S]ometimes …some of us seem to indicate that having been baptized, [and] received the Holy Ghost, … and then having gone to church, and the men having received the priesthood, that we’ve done all that we ever need to do, that we’ve “arrived.” Then the older ones among us rest our hands comfortably on the shelf that nature gradually prepares for us, and we lean back and enjoy the ecstasy of thinking we’re going to be transported into heaven immediately. Sometimes Latter-day Saints say, “Thank God I’ve got the Gospel. I’ve joined the Church. I’m going to heaven as soon as I die.” There’s an awful shock coming to some people because “the glory of God is intelligence.” And there are some Latter-day Saints who have only a ten-watt bulb of spiritual insight and knowledge.And that ten-watt bulb will take them only where they use ten-watt bulbs. And they wouldn’t be able to endure the glory of anything brighter. I am impressed with the testimony of a man who can stand and say he knows the Gospel is true. What I would like to ask is, “But, sir, do you know the Gospel?” I say it is one thing to know the Gospel is true, and it is another thing to know what the Gospel is. Mere testimony can be gained with but perfunctory knowledge of the Church and its teachings, as evidenced by the hundreds who are now coming into the Church with but bare acquaintanceship. But to retain a testimony, to be of service in building the Lord’s kingdom, requires a serious study of the Gospel and knowing what it is. It is a paradox that men will gladly devote time every day for many years to learn a science or an art; yet will expect to win a knowledge of the Gospel, which comprehends all sciences and arts, through perfunctory glances at books or occasional listening to sermons. The Gospel should be studied more intensively than any school or college subject. They who pass opinion on the Gospel without having given it intimate and careful study are not lovers of truth, and their opinions are worthless. One of the most interesting examples of dedication to temple-based learning is the life of Hugh W. Nibley, a former professor at BYU and an internationally-respected scholar of ancient cultures. Elder Marion D. Hanks once joked that, “as president of the Salt Lake Temple, he had been asked some questions so deep that only Hugh Nibley and the Almighty might know how to answer them. '”Nibley’s knowledge of temples was the direct result of two things: 1. His regular participation in temple ordinances; and 2. The rich background he brought to his temple experiences through his knowledge of scripture and ancient cultures. If I went to the temple five times and nothing happened, I would stop going. But I’ve gone hundreds of times, and the high hopes of new knowledge with which I go up the hill every week are never disappointed. Last Saturday, I left the temple loaded with instructions, specific instructions… I found it all laid out for me, because I was looking for it. That is always the case when you are going to the temple. The experience of the wise exercise of moral agency in a fallen world. Elder Bednar calls this form of learning “intelligence,” meaning the application of knowledge and understanding to our actions and judgment. Each individual “is independent in that sphere in which God has placed it, to act for itself.” Acting in a manner consistent with what we know and understand opens the door to additional light and knowledge, and he “that receiveth light, and continueth in God, receiveth more light; and that light groweth brighter and brighter until the perfect day. To purchase Jeffrey M. Bradshaw’s new book Temple Themes in the Oath and Covenant of the Priesthood click here. Allen, James. As a Man Thinketh. Salt Lake City, UT: Bookcraft, n.d.
Bednar, David A. Increase in Learning: Spiritual Patterns for Obtaining Your Own Answers. Salt Lake City, UT: Deseret Book, 2011. Brown, Hugh B. 1956. Education is a Part of Salvation. In BYU Education Week, June 20, 1956, Brigham Young University. id=107. (accessed August 7, 2007). Burton, Orville Vernon. E-mail message to Jeffrey M. Bradshaw, February 3, 2012. Chittenden, Lucius Eugene. Recollections of President Lincoln and His Administration. New York City, NY: Haper Brothers, 1891. (accessed December 29, 2011). Dolkart, Judith F., ed. James Tissot, The Life of Christ: The Complete Set of 350 Watercolors. New York City, NY: Merrell Publishers and the Brooklyn Museum, 2009. Douglas, Mack R. How to Make a Habit of Succeeding. Gretna, LA: Pelican Publishing, 1966. Hauglid, Brian M. “Joseph Smith’s inspired commentary on the doctrine of calling and election.” In Shedding Light on the New Testament: Acts-Revelation, edited by Ray L. Huntington, Frank F. Judd, Jr. and David M. Whitchurch, 209-26. Provo, UT: Religious Studies Center, Brigham Young University, 2009. Madsen, Truman G. The Presidents of the Church: Insights into their Lives and Teachings. Salt Lake City, UT: Deseret Book, 2004. —. 1978. “House of glory.” In Five Classics by Truman G. Madsen, 273-85. Salt Lake City, UT: Eagle Gate, 2001. Reprint, Madsen, Truman G. 1978. “House of glory.” In The Temple: Where Heaven Meets Earth, 1-14. Salt Lake City, UT: Deseret Book, 2008. Matthews, Robert J. “Using the scriptures.” In Brigham Young University Fireside and Devotional Speeches, 118-26. Provo, UT: University Publications Department, 1981. (accessed September 24, 2011). Nibley, Hugh W. “An intellectual autobiography.” In Nibley on the Timely and the Timeless: Classic Essays of Hugh W. Nibley, edited by Truman G. Madsen, ix-xxviii. Provo, UT: Brigham Young University Religious Studies Center, 1978. —. Temple and Cosmos: Beyond This Ignorant Present. The Collected Works of Hugh Nibley12. Salt Lake City, UT: Deseret Book, 1992. Oaks, Dallin H. “The challenge to become.” Ensign 30, November 2000, 32-34. Petersen, Boyd Jay. Hugh Nibley: A Consecrated Life. Draper, UT: Greg Kofford Books, 2002. Shutterstock Images. (accessed December 30, 2011). Walker, Henry C. “Building up personality. In Getting ahead: A department of questions and answers.” The American Magazine 83, June 1917, 129-32. (accessed December 29, 2011). Widtsoe, John A. “2. How may a testimony of the truth of the Gospel be obtained?” In Evidences and Reconciliations, edited by John A. Widtsoe. Single Volume ed. 3 vols, 15-17. Salt Lake City, UT: Bookcraft, 1960. Young, Brigham. 1853. 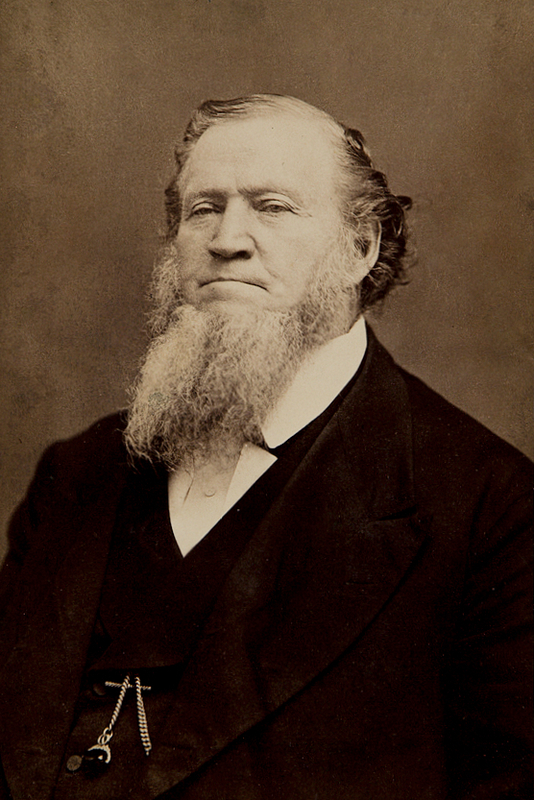 “The privileges and blessings of the Gospel (A discourse delivered by President Brigham Young at the Tabernacle, Great Salt Lake City, February 20, 1853).” In Journal of Discourses. 26 vols. Vol. 1, 309-16. Liverpool and London, England: Latter-day Saints Book Depot, 1853-1886. Reprint, Salt Lake City, UT: Bookcraft, 1966. James Tissot (French, 1836-1902). The Sermon of the Beatitudes, 1886-1896. Image: 9 5/8 x 6 7/16 in. (24.4 x 16.4 cm). Brooklyn Museum, Purchased by public subscription, 00.159.124. In J. F. Dolkart, James Tissot, p. 143. With permission. President David O. McKay. Cited in T. G. Madsen, Presidents, pp. 269-270; cf. T. G. Madsen, House, p. 282. Matthew 5:20-48. See also 3 Nephi 12:20-48. For an enlightening discussion on the doctrines of the temple presented in the Sermon on the Mount and the corresponding Book of Mormon Sermon at the Temple, see J. W. Welch, Sermon; J. W. Welch, Light. D.H. Oaks, To Become, p. 32, emphasis added. Copyright Intellectual Reserve, Inc. Used by permission. Alma 41:3; D&C 88:32-33; 137:9. L. E. Chittenden, Recollections, p. 184. As a subsequent confirmation of Stanton’s assessment, Chittenden reports: “A few months later the official in question was found guilty by a court-martial of peculation [i.e., embezzlement] and fraud in the management of his bureau, and dishonorably expelled from the service.” Though Chittendon did not name the individual in question, Lincoln scholar Vernon Burton concurred with my surmise that it was probably Frederick W. Hurtt (O. V. Burton, February 3 2012). Unfortunately, neither reference librarians at the National Archives (Holly Reed) nor at the Library of Congress (Jonathan Eaker) were able to find a photograph of Hurtt in a search of their own collections or within additional biographical directories and images databases. So the exact appearance of the “face” in question may remain forever unknown. J. Allen, As a Man Thinketh, p. 11.
 wikimedia.org/ (accessed February 3, 2012). Painting by an unknown painter, circa 1842. The original is owned by the Community of Christ archives. It is on display at the Community of Christ headquarters in Independence Missouri, where its provenance is explained. 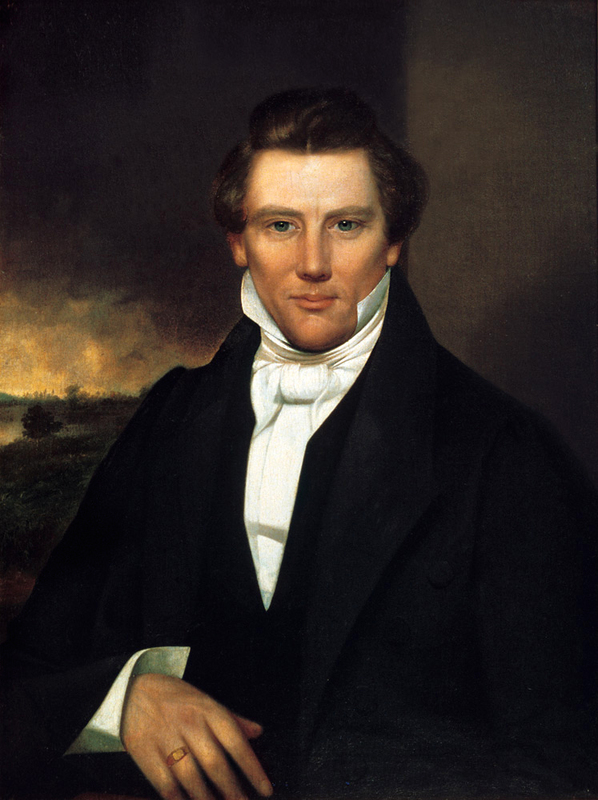 The painting was originally in the possession of Joseph Smith III (1832-1914), who is recorded as commenting on the painting. The ca. 1842 date is given by the Community of Christ, the painting’s owner. Image in the public domain. J. Smith, Jr., Teachings, 7 April 1844, p. 354. Ibid., 14 May 1843, p. 331. Cf. D&C 130:18-19. J. Smith, Jr., Words, 14 May 1843, p. 200, spelling and punctuation standardized. wikimedia.org (accessed February 3, 2012). Harvard Art Museum/Fogg Museum, Historical Photographs and Special Visual Collections Department, Fine Arts Library, 119.1976.1501 collection/detail.dot?objectid=119.1976.1501. Photograph by Charles William Carter, American (London, England 1832-1918 Midvale, UT). In the public domain. We read in the Bible, that there is one glory of the sun, another glory of the moon, and another glory of the stars. In the Book of Doctrine and Covenants, these glories are called telestial, terrestrial, and celestial, which is the highest. These are worlds, different departments, or mansions, in our Father’s house. Now those men, or those women, who know no more about the power of God, and the influences of the Holy Spirit, than to be led entirely by another person, suspending their own understanding, and pinning their faith upon another’s sleeve, will never be capable of entering into the celestial glory, to be crowned as they anticipate; they will never be capable of becoming Gods. They cannot rule themselves, to say nothing of ruling others, but they must be dictated to in every trifle, like a child. They cannot control themselves in the least, but James, Peter, or somebody else must control them. They never can become Gods, nor be crowned as rulers with glory, immortality, and eternal lives. They never can hold scepters of glory, majesty, and power in the celestial kingdom. Who will? Those who are valiant and inspired with the true independence of heaven, who will go forth boldly in the service of their God, leaving others to do as they please, determined to do right, though all mankind besides should take the opposite course. Will this apply to any of you? Your own hearts can answer. Do you know what is right and just, as well as I do? In some things you do, and in some thing you may not know as well; but I will explain what I mean, in the following words – I will do all the good I can, and all I know how to do, and I will shun every evil that I know to be an evil. You can all do that much. I will apply my heart to wisdom, and ask the Lord to impart it to me; and if I know but little, I will improve upon it, that tomorrow I may have more, and thus grow from day to day, in the knowledge of the truth, as Jesus Christ grew in stature and knowledge from a babe to manhood; and if I am not now capable of judging for myself, perhaps I shall be in another year. We are organized to progress in the scale of intelligence, and the least Saint by adhering strictly to the order of God, may attain to a full and complete salvation through the grace of God, by his own faithfulness. From The Rixida, an annual publication of the associated students of Ricks College, 1963. Photograph in the public domain. Used with license, Shutterstock Images, image number 950138. Personal correspondence dated 28 January 1969, cited in R. J. Matthews, Using the Scriptures, p. 124. J. A. Widtsoe, How May a Testimony, pp. 16-17. Used with permission of Boyd J. Petersen. B. J. Petersen, Nibley, p. 351. H. W. Nibley, Autobiography, p. xxviii, cited in B. J. Petersen, Nibley, p. 356. B. J. Petersen, Nibley, p. 357. H.W. Nibley, Message 2005. Nibley’s collected works contain dozens of chapters that bear directly on temple-related subjects. See especially H. W. Nibley, Temple and Cosmos. See D. A. Bednar, Increase, pp. 66-70. There is a difference between knowledge and pure intelligence. Satan possesses knowledge, far more than we have, but he has not intelligence, or he would render obedience to the principles of truth and right. I know men who have knowledge, who understand the principles of the Gospel as well as you do, who are brilliant, but lack the essential qualification of pure intelligence. They will not accept and render obedience thereto. Pure intelligence comprises not only knowledge, but also the power to properly apply that knowledge. This distinction is also found in the Greek wording of 2 Peter 1, where the word for knowledge, gnosis, is translated as “vicarious knowledge,” while the word for intelligence, epignosis, is translated as “experiential knowledge.” Hence, knowledge of God and Christ must be accompanied by obedience; the more obedient we are, the more intelligent we are. Thus the advantage in the next life is increased through intelligence [D&C 130:19]. John 17:3. Cf. D&C 132:23-24. J. Smith, Jr., Teachings, 14 May 1843, p. 331. Cf. D&C 130:18-19. Ibid., 14 May 1843, p. 331.